In my never ending quest to find and reunite medals to my family surname, usually it’s months of dross with the occasional excellent find. This group falls into the latter. This group is impressed to W.O. 2nd Class F.Birchall, 5.D.G and Lt. F Birchall, 5.D.G. Frederick served in N.W. Europe, landing through Normandy with the Regiment in July, 1944. He fought through Belgium, the Roer and into Hamburg in 1945. After returning to the U.K., the Regiment was sent to Korea, where Frederick was awarded an MID as well as a short service commission as Lieutenant. The last of the Ethiopian medals for the moment, this is a circular dark bronze medal with loop and isosceles trapezium-shaped ribbon bar bearing an Amharic inscription; the face with the heads of two warriors facing right, a flintlock rifle and bugle below, all within a cartridge belt; the reverse plain stippled; on a replaced ribbon in the Ethiopian national colours. The medal was created after the Ogaden war of 1977-1978 with Somalia to commemorate the Ethiopian patriots who fought against Italian invasion and occupation between 1935 and 1941. It was designed by Colonel Tibebe Desta of the Ethiopian Air Force, a noted artist and imperial portrait painter, who organised the Grand Expo in Addis Ababa after the war with Somalia and was noted for his design of coins and medals both during the Imperial period and the Derg. This example has the incorrect ribbon and is missing its suspension bar. Still a rare medal in any condition. In 1941, with the help of British and Commonwealth troops attacking from British Somaliland, the Ethiopians were able to defeat and drive the Italian occupying army from their soil. I am interested in the East African campaigns in the Sudan, Somaliland and Ethiopia, especially the Battle of Keren. The medal was made by Mappin & Webb, in London, and is in the shape of a Coptic Cross, surmounted by an Imperial Crown. The Star of the Trinity is in high relief in the centre. 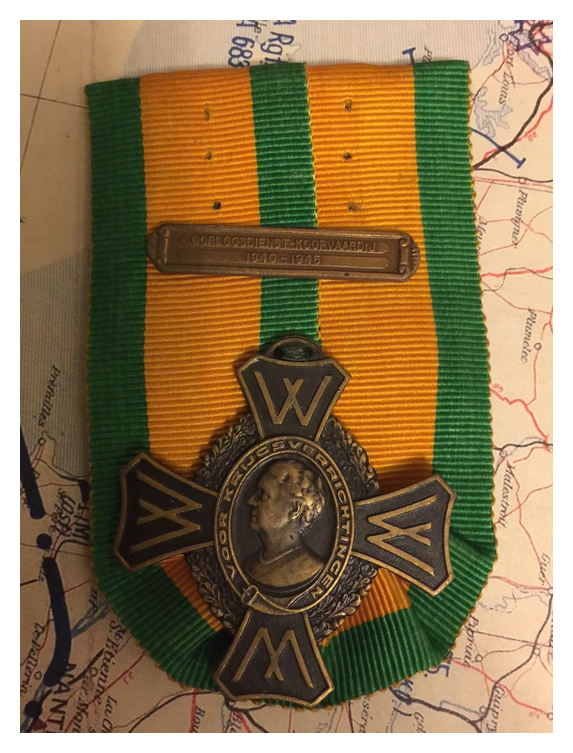 A loop is attached to the top of the medal, with a hanger, and a multi-striped red, yellow and green riband. The inscription in Amharic on the medal reads: “Star of Victory 1933 [Ethiopian calendar]. Unforgettable Achievement” and on the reverse “Star of Victory 1941”. Ethiopian men, carrying captured Italian weapons, gather in Addis Adaba, in May 1941, to hear the announcement of the return of the Emperor Haile Selassie. This is the Memorial Cross (GVI) for New Zealand, issued during WW2 to the surviving spouse or mother of the deceased soldier. It’s sometimes called the “Mother’s Cross” for this reason. This one is unnamed and stamped “sterling” on the reverse. There is some evidence of name removal on the rear. Here’s a great group coming from my never-ending search for medals impressed to my surname. In this case its a WW1 Military Medal group combined with a WW2 service medal group, named to J.E.Birchall 91004, The Kings (Liverpool) Regt. It came with a little certificate from his commanding General commending his “…skilful use of his Lewis Gun section during operations against Evillers and Mory Copse on the 23rd and 24th of August 1918”. The village of Evillers was completely destroyed during this offensive. John Eric Birchall later served in WW2, as evidenced by his Defence Medal and War Medal. This service was as a Lieutenant in the Home Guard. Given his age, it was probably his MM that got him that rank. Created on March 31, 1950 by the Executive Committee of the Dutch Red Cross. 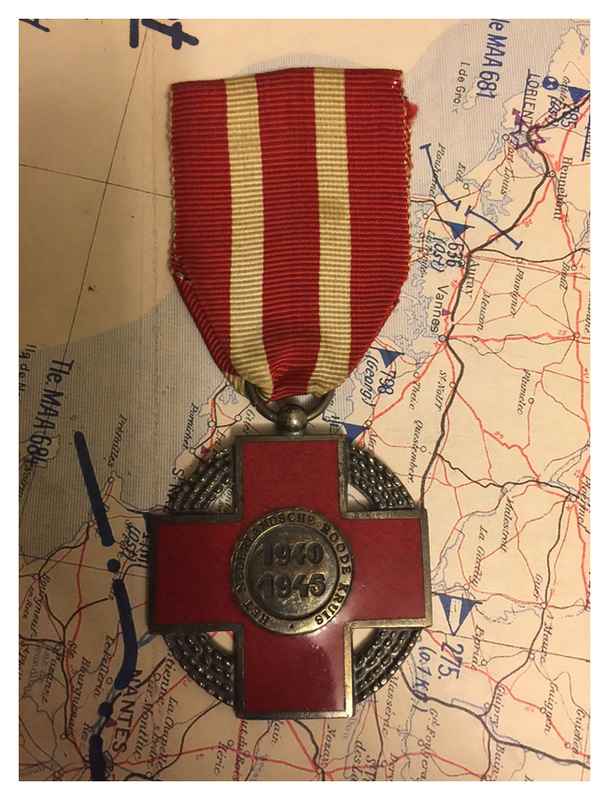 It was awarded to volunteers and staff of the Dutch Red Cross in recognition for the Red Cross work performed during the occupation period (May 10, 1940 to May 5, 1945) and the period of insurrection in the the post war Dutch colonies. For the latter there was also established a bar with the inscription “INDONESIA 1945-1950”. Approval to carry the remembrance cross on the military uniform was followed by Army Order no. 137 of May 31, 1950. This medal, from the Netherlands, was issued with a range of bars depending on the recipients theatre of service. I have quite a few of these now and I picked this one up because it had the Oorlogsdienst-Koopvardij bar which is the last of the standard bars that I didn’t have. This bar is for war services in the fishing fleet.